You don't often hear about someone running Dolphin with SSL. I have seen a few occasional posts over at Boonex, but not many. 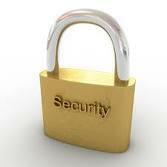 When we see or hear about SSL we tend to think financial related sites. Things like banks, online shopping carts and checkouts, and that kind of thing. Although I do sometimes come across another type of site that uses SSL. I guess these other sites are using SSL / https in hopes of additional protection. But, this doesn't mean your site will be totally protected from exploits or other malicious activity. There are some drawbacks that come with SSL sites too. The first is your site will be noticeably slower. Search engines might not be able to crawl and index your pages. You will also need a dedicated ip, which your host will probably want a monthly fee somewhere in the neighborhood of $1 to $5 per month. You will obviously need a SSL certificate. These can vary considerably in price depending on the type. You can expect to pay several hundred dollars per year on the upper end. Some hosts will install a SSL certificate for free, and others want an installation fee. If you have a vps or dedicated box you can probably install it yourself. Now I don't recommend running an entire Dolphin site with a SSL connection, but that is your business. If you run another web site that has some kind of shopping cart checkout you might consider it at some point. I just thought I would share this FREE SSL certificate that seems to have some decent reviews. Since it is FREE it is pretty basic, but for a smaller site that only needs a very simple and cheap SSL it might be something to look into. Godaddy used to offer some cheap SSL certificates too, but the cheapest now seems to be about $50 per year. I don't know what happened to their cheaper ones. They seemed to have disappeared from their site.